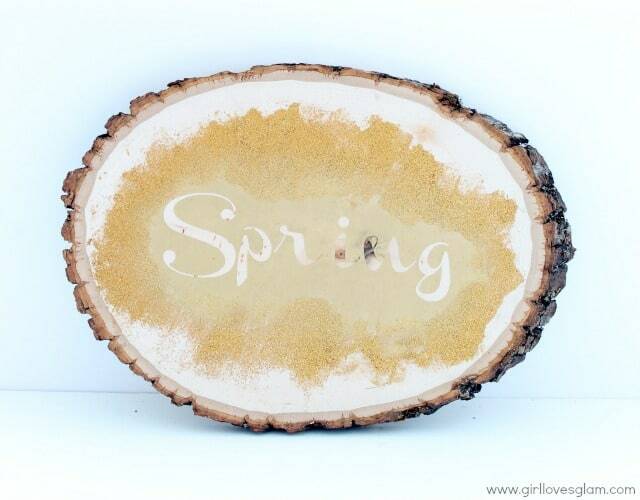 I can’t even tell you how excited I am that it is finally Spring! 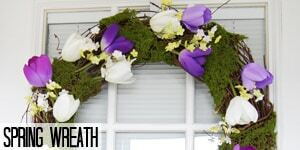 Even though the weather in Idaho isn’t as happy and springlike as I would hope, I still enjoy adding some springtime charm to my house to make it feel bright and fresh. 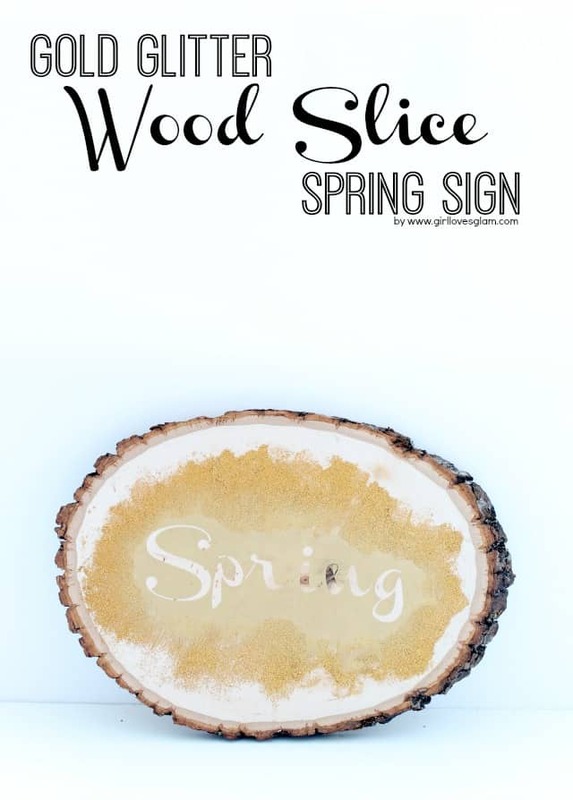 I knew I wanted to create a sign that also had some sort of natural element in it. 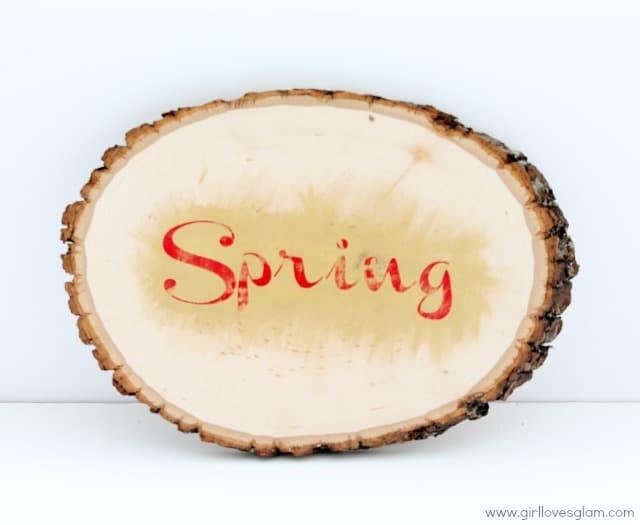 I absolutely love wood grain so I chose to create a super cute Spring sign on a wood slice. Of course I needed to add some gold glam to it too! 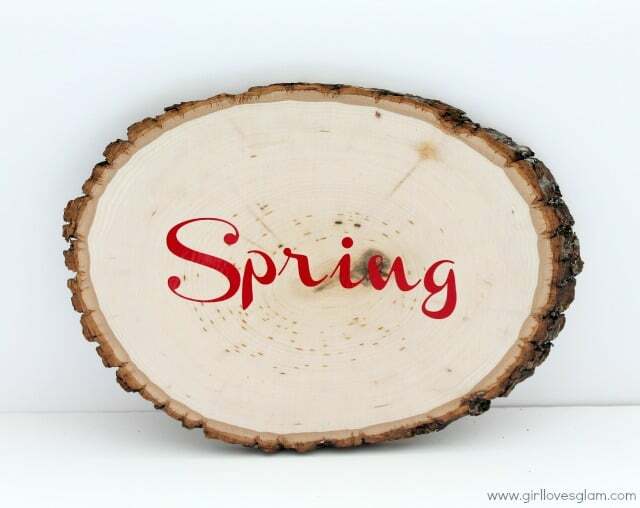 First, cut out the word “Spring” out of vinyl and stick it onto the slice of wood. Paint over the vinyl and fan out slightly around the edges. 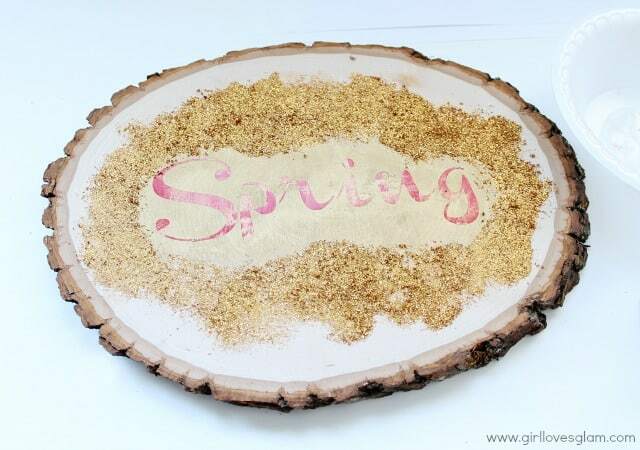 Spread glue around the edges of the gold paint and dump glitter on top of it. Spread the glitter out to make sure it covers all of the glue. Let the glue dry. 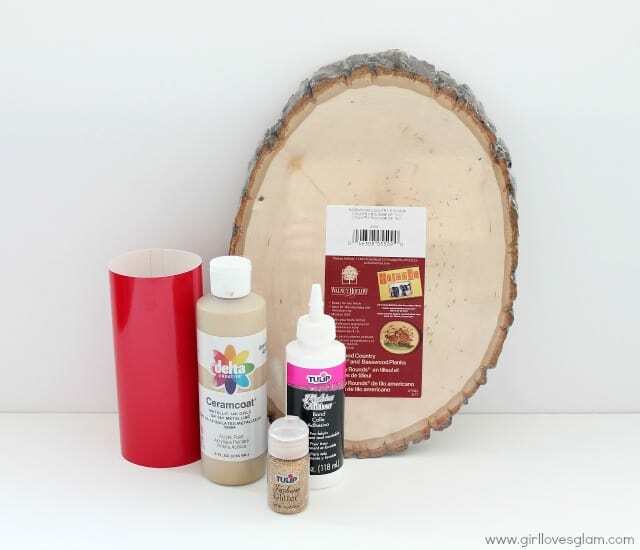 Peel off vinyl and scrape off excess glitter. You may even want to take a little sand paper to it to give it more of an ombre effect. I also went back and painted the gold paint on top of the glitter and fanned it out to blend it all together a little bit more. 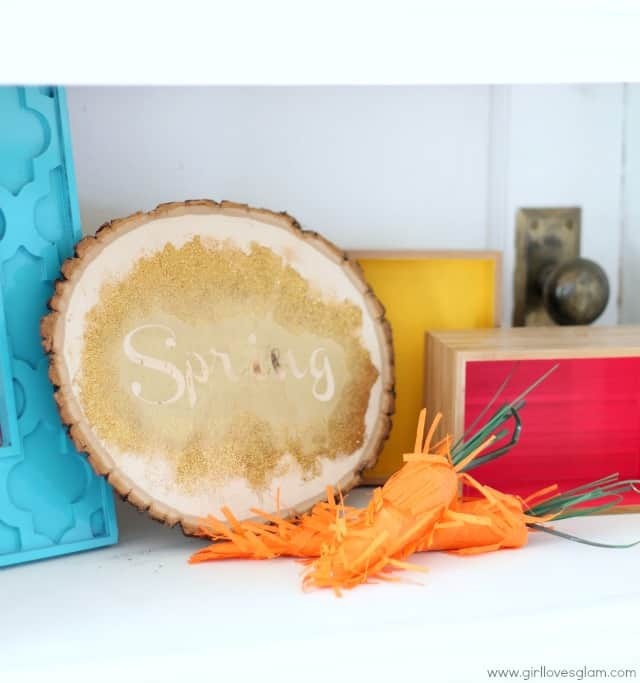 Find a spot on a shelf to display your pretty new sign! It fits right in! 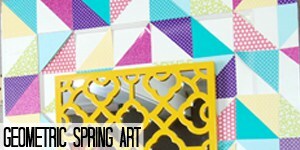 Make sure to check out these great Spring tutorials from last year too! Hey girl. I miss you already! I love this sign. Super super cute! 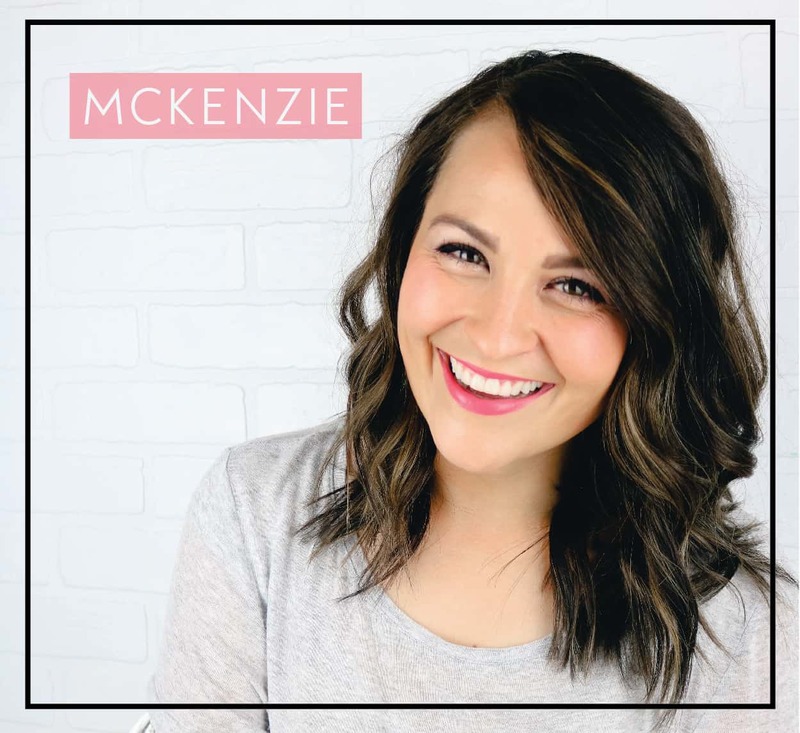 Featuring you at The Sunday Soiree this weekend.